We are a supplier and trader of fire detection systems like fire detection systems, conventional fire detection system, conventional fire detectors, conventional flame detection system. Built using latest technology, these fire detection systrems have been quality tested to ensure long term trust and good will in the industry. Conventional Fire Detectors has Micro- controller based. Availability of 2/4/6/8/10/12/14/16 zone panels. 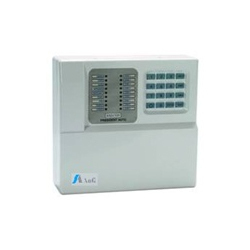 Multiple zones programmable as delay, immediate, panic or fire. Two individual user codes - master and servant. Onboard or separate key pad. Can attach up to five additional remote key pads. 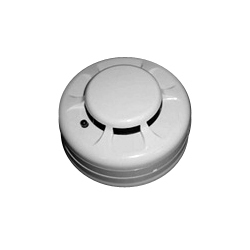 We offer Conventional Fire Detection System (Ionization Smoke Detectors). Built in 8 bit microprocessor. Algorithm maps for faster response and false alarm rejection. Self diagnosis and history log. Ideal alternative to Ionization detector. 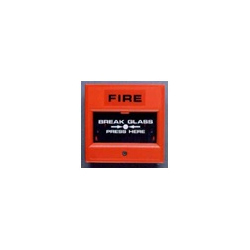 We offer Conventional Flame Detection System (Accessories - Manual Call Point). Glass protection by thin film.